<br/>The App Store is the world’s most successful and vibrant gaming platform with nearly 300,000 free and paid games. Free games, supported by advertising or in-app purchases, are enjoyed by hundreds of millions of players around the world. Paid games are often critically acclaimed and beloved by the people who play them, but competing with free is hard, so even the best of these games have only reached a smaller audience. With the simplicity of a single subscription, Apple Arcade will bring games like these to the App Store’s more than 1 billion gaming customers. Apple Arcade is the perfect complement to the already enormously popular catalog of free games on the App Store, making iOS the premier gaming platform for players of all ages. 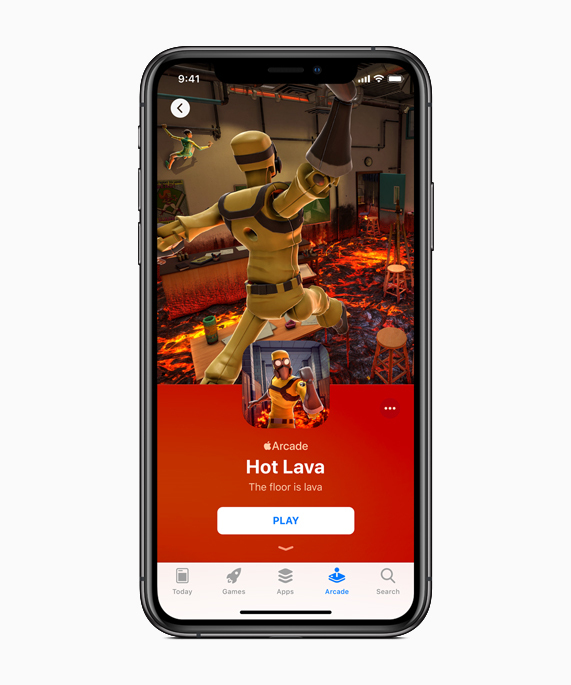 <br/>Apple is not just handpicking the games in Apple Arcade, but also contributing to the development costs and working closely with creators to bring the games to life. Made by some of the most critically acclaimed game developers in the world, Apple Arcade games will entertain customers with incredibly fun gameplay and immersive stories, while capturing imaginations with original art and music. The service will feature games from Annapurna Interactive, Bossa Studios, Cartoon Network, Finji, Giant Squid, Klei Entertainment, Konami, LEGO, Mistwalker Corporation, SEGA, Snowman, ustwo games and dozens more. <br/><a href="https://www.apple.com/apple-arcade/" target="_blank">Apple Arcade</a> will introduce an innovative way to access a collection of brand new games that will not be available on any other mobile platform or in any other subscription service. Rather than pay up front for each game, a subscription to Apple Arcade will give players the opportunity to try any game in the service without risk. Since every game includes access to the full experience, including all game features, content and future updates, no additional purchases will be required. Every game will be playable offline, and many games will offer support for game controllers. Because subscribers can play Apple Arcade games across iPhone, iPad, Mac and Apple TV, they can pick up where they left off in a game, even if they switch devices. New games will be added to the service on a regular basis. <br/>Apple Arcade will launch in fall 2019 in more than 150 countries from a new tab on the App Store across iOS, macOS and tvOS. Developers interested in being considered for Apple Arcade should visit <a href="https://developer.apple.com/apple-arcade/" target="_blank">developer.apple.com/apple-arcade</a>. <br/>With the App Store, Apple ignited a worldwide app phenomenon that has revolutionized the way people work, connect, learn and play. The App Store drives the app economy and has earned $120 billion for developers worldwide. Today, the App Store is the world’s safest and most vibrant app marketplace, with over half a billion people visiting each week. Privacy, security, quality and curation are fundamental to the App Store. Every app must meet and maintain Apple’s strict guidelines to launch and remain on the App Store. For enhanced discoverability, experts create rich editorial content and curated collections of the best apps every day. The App Store is the single best place to explore the world of apps, and is available on iPhone, iPad, Mac, Apple Watch, Apple TV and iMessage.